Throwback Thursday Object: Check out this magnificent 1846 Bible in raised letters for people who are blind! The Museum received a very rare gift last week from the Ireland Memorial Library in St. Paul, Minnesota: the eight-volume Holy Bible embossed in raised letters by the American Bible Society in 1846. It is in excellent condition for its age, with very tight text block and minor cosmetic damage to its leather and cloth bindings. 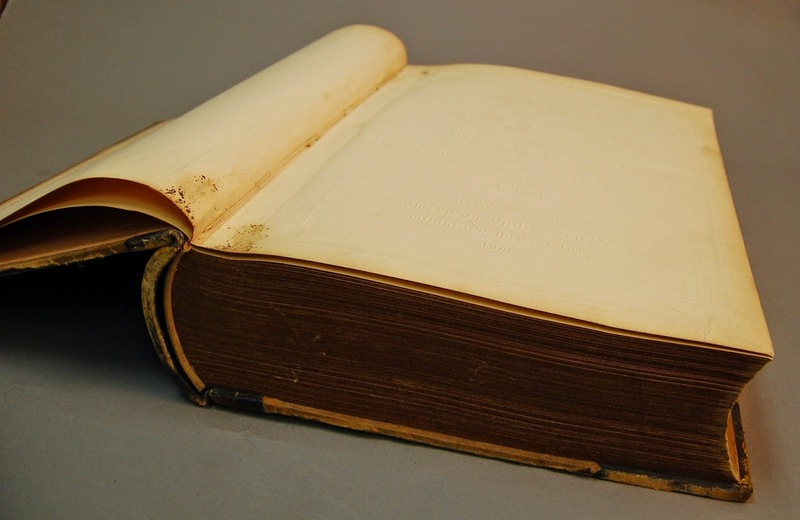 The 1846 ABS Bible was the third U.S. bible for blind readers. This eight-volume set weighs a little under seventy-two pounds! The first was incomplete, but very significant. When Jacob Snider, a Philadelphia wine merchant who served on the board of the Pennsylvania Institution for the Education of the Blind—now Overbrook--embossed his “Gospel of St. Mark” in 1834, he issued the very first book embossed in raised letters in the Americas. Samuel Gridley Howe, superintendent of the New England Institution for the Education of the Blind—now Perkins--reported in 1836 that the New Testament was in press at his school in Boston. Howe used a font designed specifically for his press that became known as Boston Line Letter. 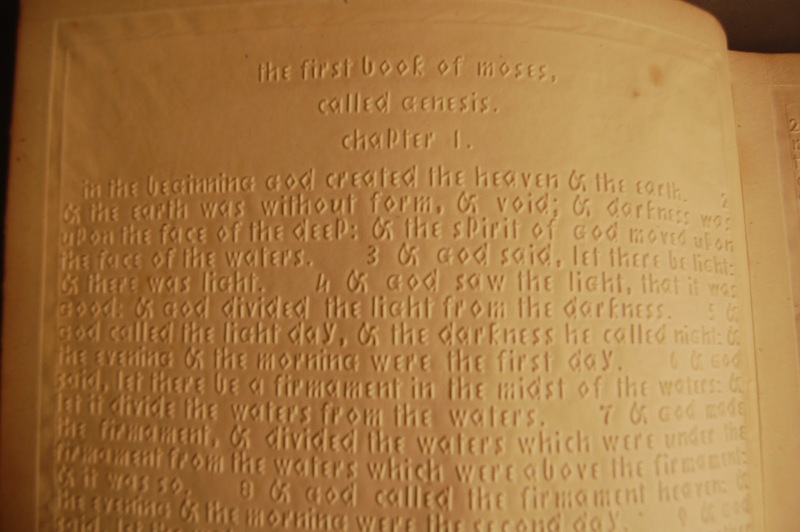 By 1842, the entire Bible had been completed, condensed to eight volumes, and sold for $20 per set. Funds for Howe’s printing department, however, were always in short supply. Embossed books were very expensive to produce. 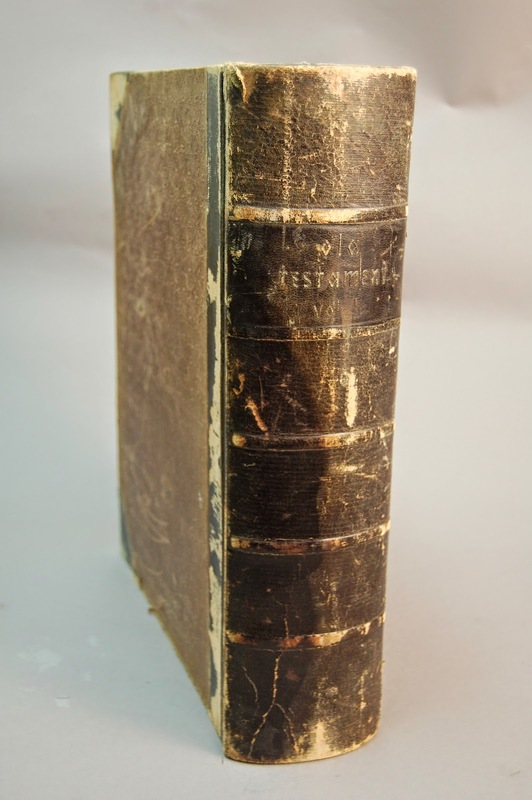 In 1843-44, Howe sold the stereotype plates for his bible and the remaining unsold copies for about $10,000 to the American Bible Society, who continued to sell the Howe edition while experimenting with their own printing equipment. The project had captured their imagination, but they were also surprised at how expensive the process was. The ABS embossed their edition from the Perkins plates in 1846. The only difference between the two editions was the absence of Howe's name from the frontispiece. For many years, the ABS raised letter bible was one of the few tactile books readily available to blind readers, and this intact 1846 example is a magnificent gift to our collection.